Carnaroli rice differs from the more common Arborio rice used in risottos due to its higher starch content, firmer texture and longer grain. 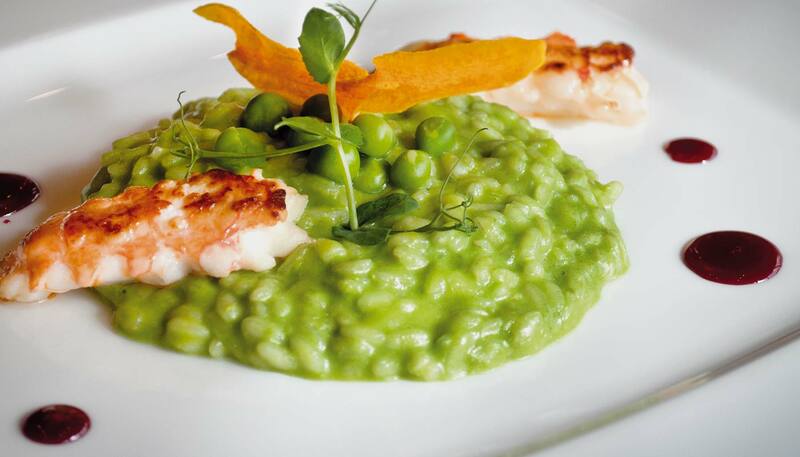 The combination of Carnaroli rice, peas and pesto make this version of the classic risotto perfect for special occasions. Sauté one finely chopped medium onion and the peas in 40 g of butter until softened. Add 340 g of Risotto rice and coat until translucent. Add one glass of dry white wine, and cook until evaporated. Add 1 l hot chicken or vegetable stock and simmer, stirring occasionally. After 14 minutes the stock will have been absorbed, the rice will be cooked and creamy, yet retaining a desired bite in the centre. Stir through grated Parmesan cheese and the pesto and serve.